This Turkish dish is similar to the one that I would eat when I was a young child and before I made this I hadn’t eaten it for many years. So in true Turkish style I threw in all the ingredients I thought would make up the recipe and voila! it was pretty damn close and tasted so scrumptious. 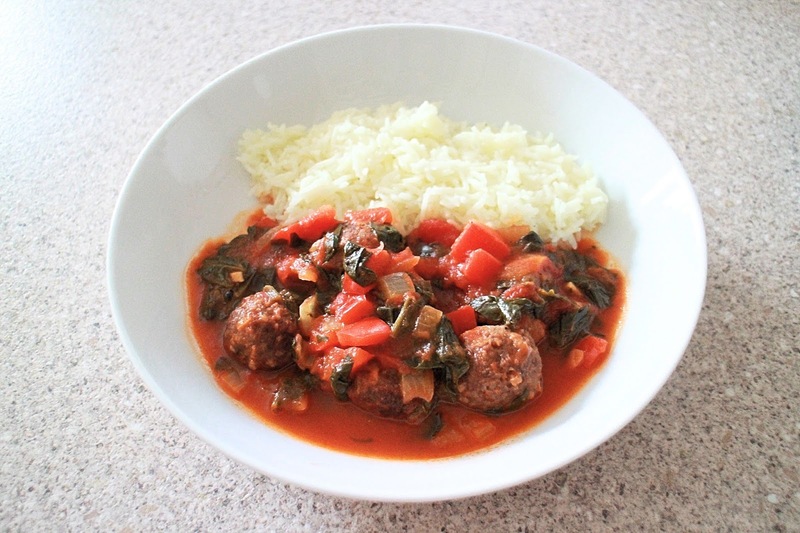 This dish is a tomato based dish with meatballs/köfte and the main ingredient, spinach. This meal is healthy and nutritious for the whole family to enjoy and is best served with some fluffy white rice like Basmati Rice, Greek Yoghurt and some fresh bread. Our favourite is a turkish bread called Cörek. Serve in a pasta bowl with the rice and greek yoghurt for that true comfort food feeling but full of goodness…and enjoy!